I used to think that 1970s CBs were the most heavily customized Hondas. 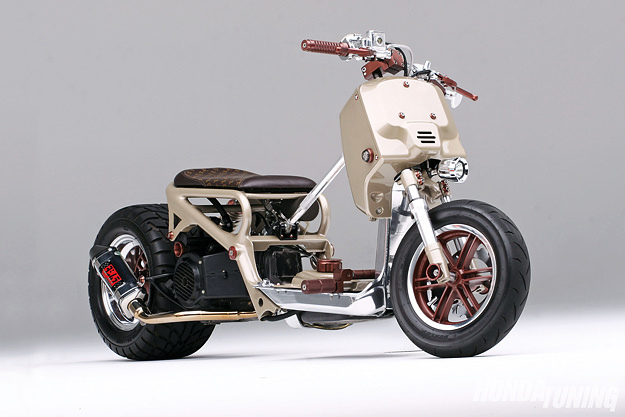 Until I discovered the extraordinary subculture that has grown up around the Honda Ruckus. Yes, it’s a scooter and it’s got a meager 49cc. But it’s a distinctive looking machine, with wide tires, a bare bones frame and twin headlights. In Japan—and some pockets of SoCal—it inspires fervent devotion.